Hello! It’s been a while since I posted here (yes, I am alive!) and miraculously, I managed to get out this weekend to check out an open house. 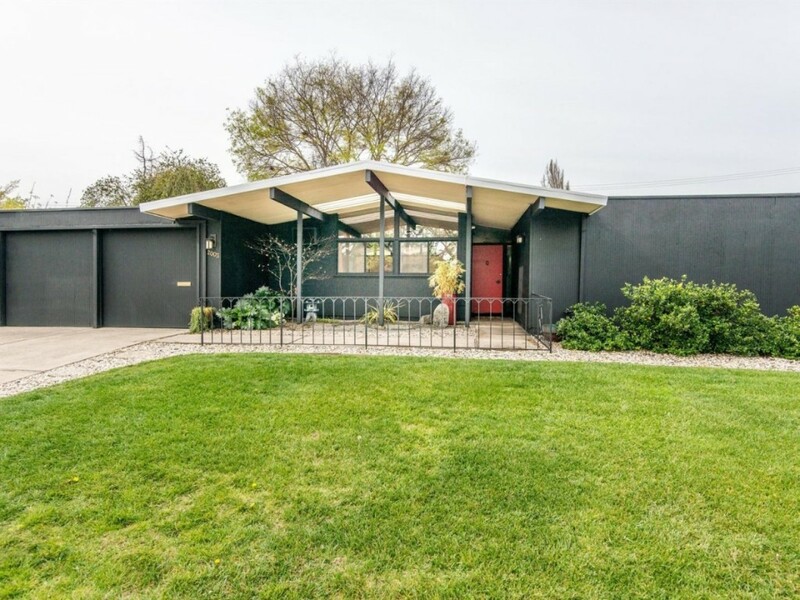 This home was built in 1957 and it’s been kept in great shape. 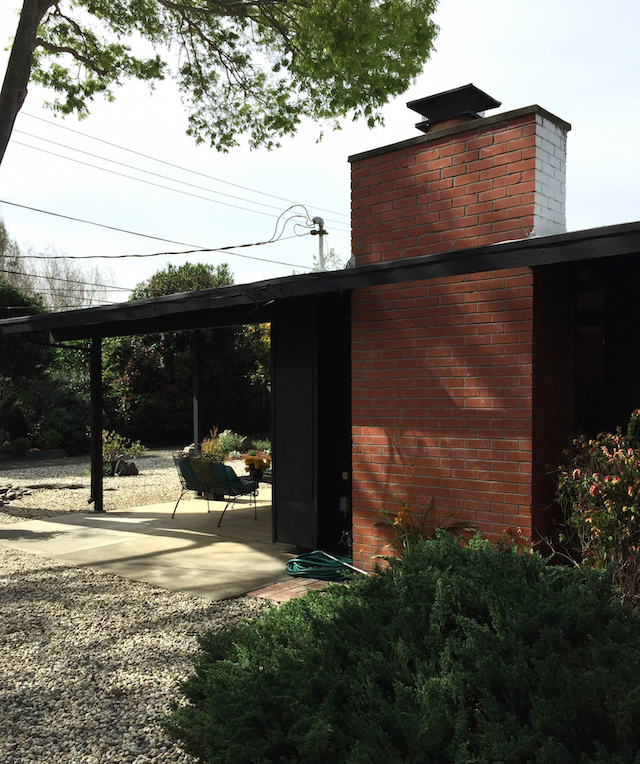 I thought I’d take some of my usual snoopy neighbour photos and report back, as is my Eichler-fanatic duty. All of these were snapped with my phone and even though they’re not the greatest, I thought I’d share what caught my eye. The above view is leading to the front door. Those windows look directly into the kitchen and adjacent lounge. Upon walking in, I knew immediately that we were in for a real treat: the original features of this house are fantastic. 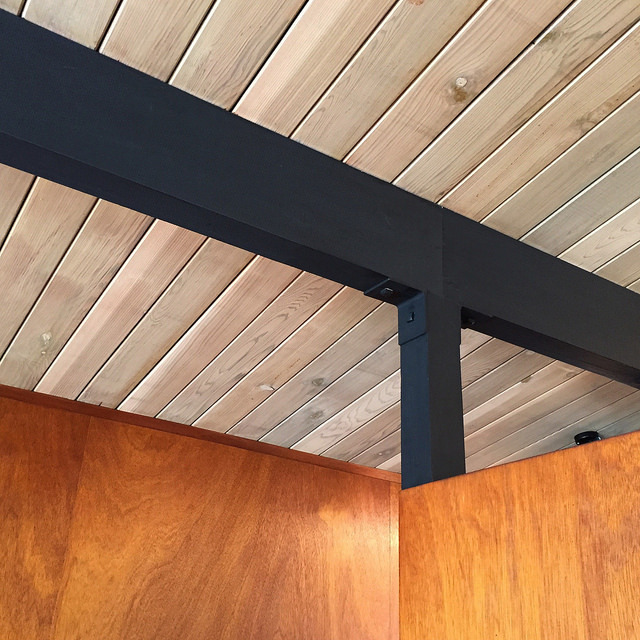 The tongue-and-groove ceilings were pristine with the builder’s light grey pickling stain, and the black painted beams highlight the architecture. THOSE CEILINGS. I need those ceilings. Where’s my paint stripper?! It’s a bit hard to convey with my photos but the floorplan was really nice. From the front door, you walk in to the kitchen/lounge area, which is separated from the main living room by a partial wall. 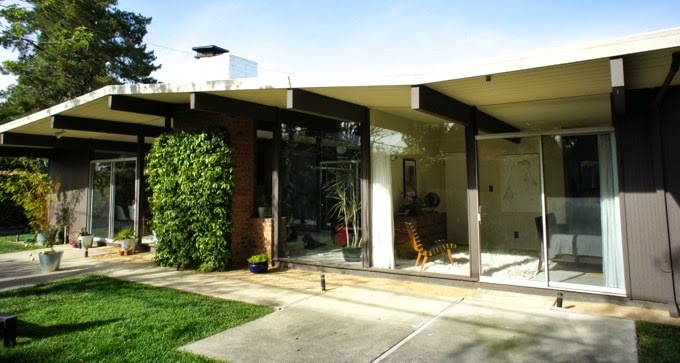 The living room features a wall of glass to the shaded patio and backyard. In the afternoon, the light flows from the back to the front and gives a really open feeling. The bedrooms are quite separate from the flow of traffic and off of the main hallway. Back to the finishes (which I tend to obsess about): all of the mahogany panels and just about all of the original globe lights were in place. The floors were newer carpet and vinyl tile, but that would be a pretty easy fix as renovations go. Some of the closet doors had been modified to be hinged instead of sliding and the kitchen looked to be a fusion of some late ’80s upgrades to the original, which is not a huge deal and could be improved over time. … though I might opt for a more subtle contrast than the black. Here’s the backyard view. Directly ahead is the main living space, with the master bedroom off to the left, with its own floor-to-ceiling glass windows. 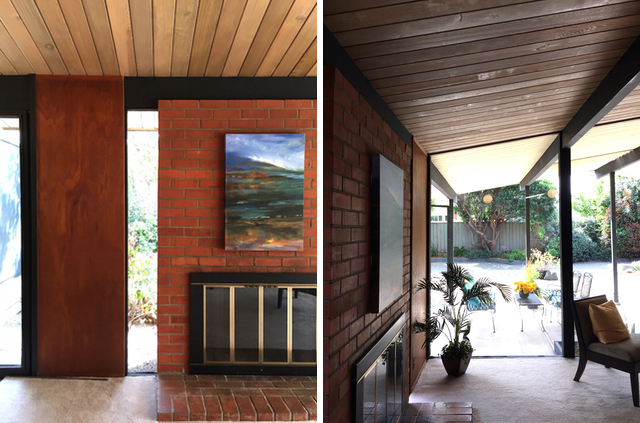 We had a chance to chat with the realtor, Kevin of Erdal Team, who told us this was the home of an original owner, and that the wood paneling was oiled every year to maintain it. 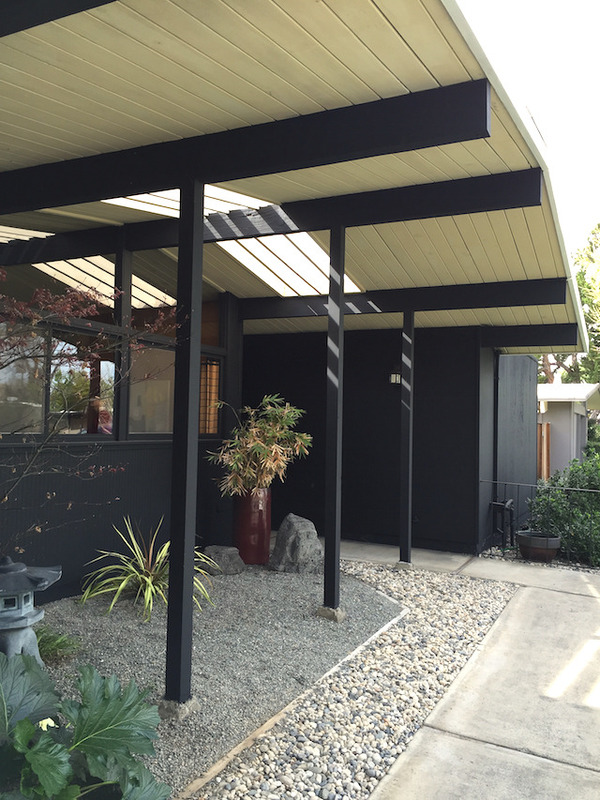 It warms my heart to see such a well cared for Eichler. The housing market in the SF Bay Area has been crazy this spring, so of course the home is already pending. I hope whoever ends up with this house loves it very much. 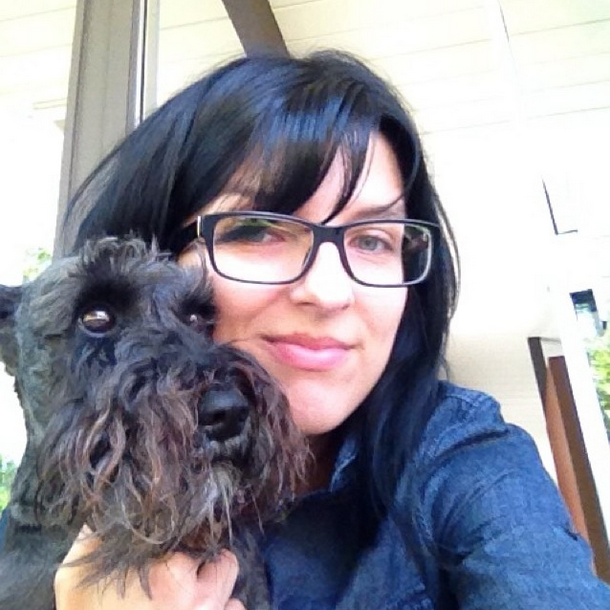 Thanks for sharing these pics, Karolina. Love so much about this house. I’ll be dreaming about those ceilings. We have some models with front-facing windows in our ‘hood, though none quite like this. I think I’d have to add some cover with planting. 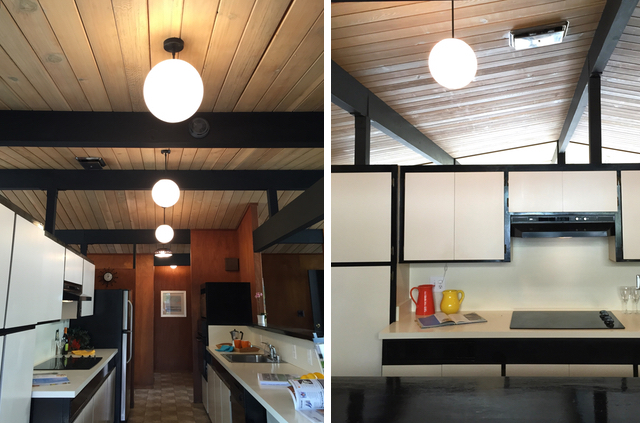 So cool that the original owners took such great care of this home. Like you, I hope the new owners appreciate what they’ve got. Hi Andy! There’s another home that is the same model on this street and they do have some more screening in front of the windows: a small section of wood fence and some cypresses, if I recall correctly, also in a Japanese style. It’s done quite nicely. Outstanding article and photos! 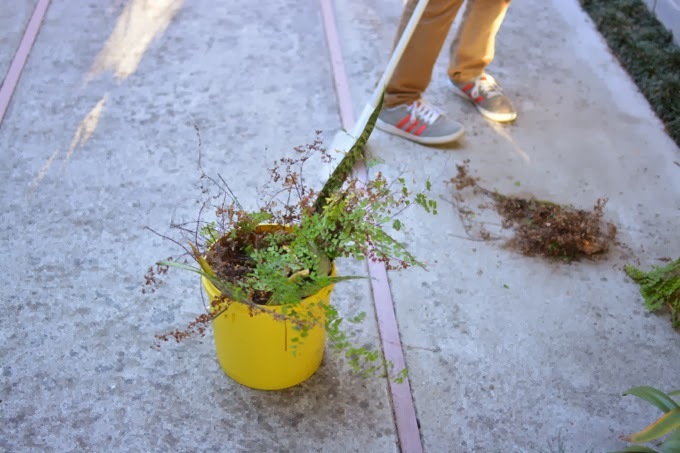 Thanks for sharing what you learned about this great house. Regarding windows and privacy, we have street-facing windows and even less setback (maybe 15′) and I’m a big advocate for not screening off the house from the street. We enjoy waving to our neighbors from the kitchen when we see them coming and going from their houses, or as people pass by walking their dogs. When we want more privacy we simply close the blinds. If you live on a street that gets a lot of non-neighborhood foot traffic, I can see how people would feel differently though. 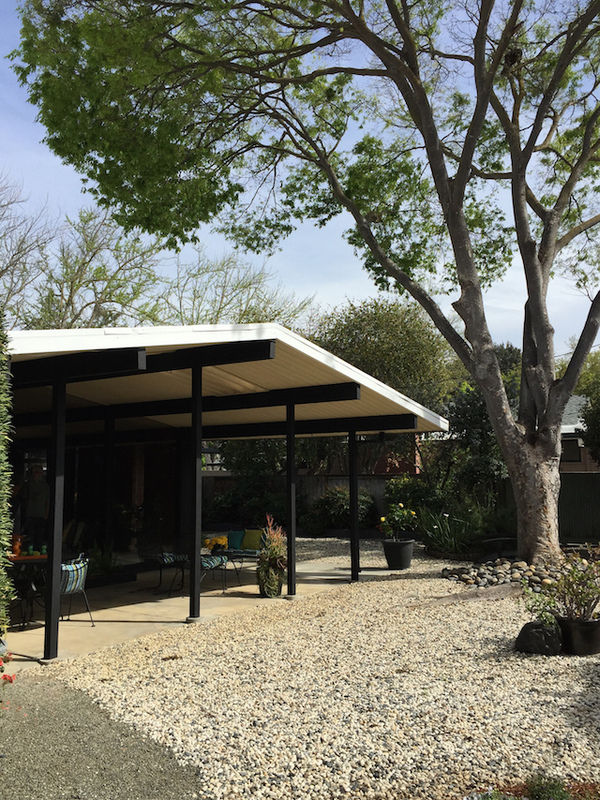 As one of the granddaughters to the original owner of this home, I can attest to how dearly loved this Eichler is. Erin, thank you so much for stopping by and sharing your story! How wonderful to connect with you here. 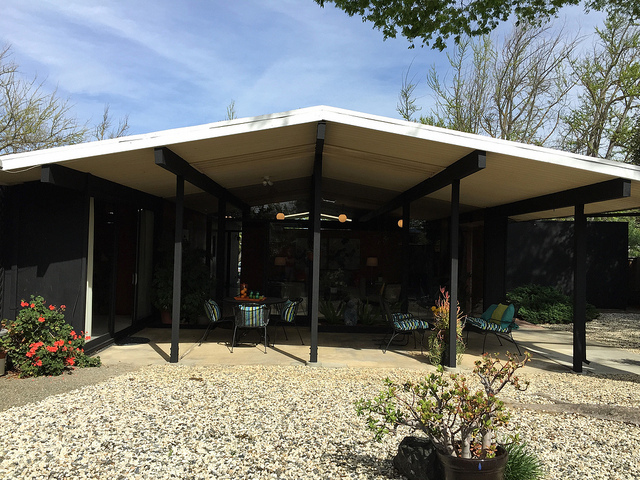 I am truly touched by your words– hearing stories like this is why I love Eichlers and blogging about them. These houses are so very special. Great post. You took some wonderful pics..all those different angles! What a gorgeous home, and such a neat layout. Love seeing all the original details. Our closets have a similar color scheme except they’re covered in some kind of textured fabric, which I’d love to replace by grasscloth. 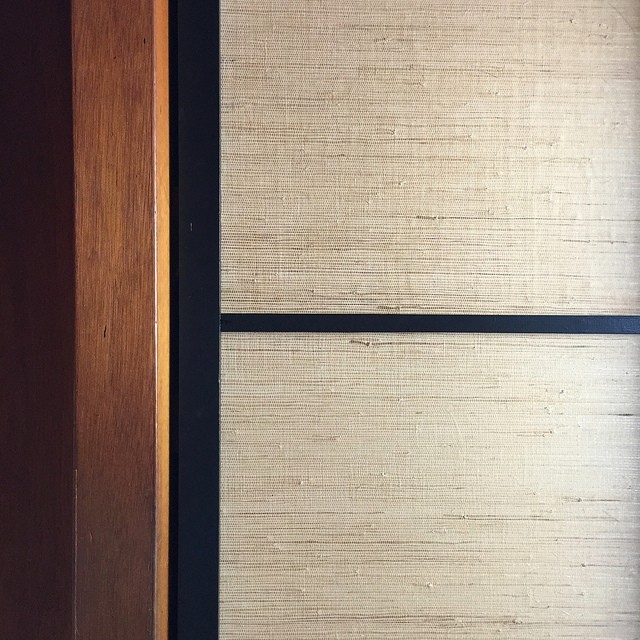 But first we have to replace/fix the awful original closet rails system…not all original Eichler features are worth keeping- argh! That backyard looks huge. I really really really hope the buyers didn’t just buy for the lot size, but will love and care for the home with the same pride Erin’s grandma did. Now hmm..should we supposed to be oiling our paneling every year?? Hey Laura! Thanks so much. 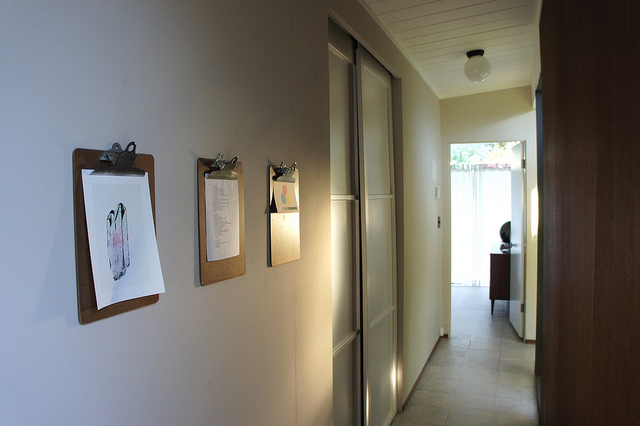 Agree on the closet hardware– we just went through this exercise with our doors (details are in an earlier post) and are quite happy with the results. So nice to have them not jump off the rails and slide more easily. Hi Karolina! Lovely post and lovely home. Those ceilings and beautiful mahogany walls are just beautiful. Thanks for sharing and you are one masterful iPhone photographer! (really). I have some grasscloth purchased, but haven’t gotten around to the “Closet Project” yet. This is good inspiration! Hi Karen! Thank you so much! I try to do my best with the camera at hand. I would love to see what kind of grasscloth you decided to go with. I’m trying to figure out how textured to go, and I quite liked the ones from this house. I saw some more chunky grasscloth at another open house just this weekend. It’s nice to shop around this way for sure!